Admissions to Advanced Degree programmes (PhD, DMin, ThM, MA) are managed by the Toronto School of Theology. Please see their website for deadlines and the online application. The Faculty of Divinity accepts applications for admission in September (fall), January (winter/spring), and May (summer). International students who have not completed a previous degree in the English language may be required to prove English proficiency. For more information please see the International Students section of the Student Services page. If your application meets our basic admission criteria, you will be invited for an interview. A final decision on admission will be made by a committee. If you have any questions, please do not hesitate to contact the Faculty of Divinity Office at divinity@trinity.utoronto.ca. 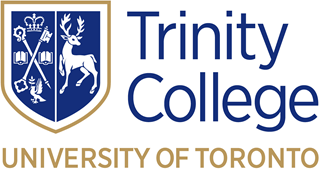 Trinity College respects the privacy of its students, faculty, staff, alumni, and donors as well as that of other persons using services it provides. The College collects only personal information that is essential to fulfill its mandate and does so under the authority of the Act to Incorporate Trinity College (1851, as amended 1928) and Royal Charter of Trinity College (1852). Personal information will at all times be protected in accordance with the Freedom of Information and Protection of Privacy Act.